African-American journalist Bryant Gumbel moved on from an acrimonious divorce and eventually found love again in a longtime friend. The New Orleans native is best known for his 15 years co-hosting NBC's Today. Since 1995, he has hosted HBO's acclaimed investigative series Real Sports with Bryant Gumbel which has been rated as "flat-out TV's best sports program" by the Los Angeles Times and also won a Peabody Award in 2012. Not only that, but Bryant Gumbel is also one of those brave people who has fought and has won the battle against cancer. Along with his illustrious career, Bryan can also be known for his stint in acting and his passion for writing. Most notable being his involvement for Contact, The Weather Man and Real Sports with Bryant Gumbel. 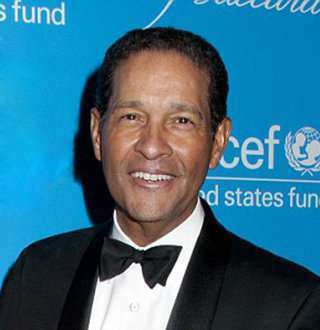 The prominent journalist was born on 29 September 1948, in New Orleans, the USA as Bryant Charles Gumbel. When it boils down to Bryant's parents, he is the son of father, Richard Dunbar Gumbel, and mother, Rhea Alice Gumbel. He has three siblings; a brother named Greg Gumbel and two sisters, Renee Gumbel-Farrahi and Rhonda Gumbel-Thomas. Gred is also a sportscaster, who is known for his various assignments in CBS Network. Bryan attended De La Salle Institute in Chicago while growing up on the South Side of the city. Later, he went to Bates College and recieved a degree in Russian history in 1970. The journalist is not just famous for his profession but also known for being a cancer survivor. In 2009, he received treatment for a malignant tumor. He revealed that he had to surgically remove the tumor from his chest and a part of his lung. A few years later, he again made another revelation that his prognosis was excellent. He said at UNICEF Snowflake Ball that he is doing well, and even doctors have told him he is fine now. News his fans and well-wishers were relieved to hear. His recovery was bombarded with thankful messages and well wishes from his wide range of fan base. Bryan started his television career as a sportscaster for NBC-affiliated KNBC-TV out of Los Angeles in 1972. After three years with KNBC-TV, he was hired by NBC and was assigned the responsibility as a co-host of its National Football League pre-game show GrandStand. He also hosted primetime coverage of the 1988 Summer Olympics in Seoul and the PGA Tour in 1990. After leaving NBC in 1997, he moved to CBS and hosted the shows, Public Eye with Bryant Gumbel and The Early Show. He also worked for NFL Network, where he was a play-by-play commentator for the 2008 NFL season. Since 1995, he is actively involved in hosting HBO's series Real Sports with Bryant Gumbel. For Journalist Bryant Gumbel, unlike his successful career, his first marriage to longtime partner didn't go as he had hoped. Gumbel was previously married to June Carolyn Barranco, a flight attendant, in 1973. However, Bryant and June parted their ways after staying in a married relationship that lasted 28 long years. Parents to two children, Bradley and Jillian, legally divorced back in 2001. As for the reason for divorce is not openly discussed by Bryant whereas his ex-wife June claimed that there were infidelity issues as Bryant was involved in a romantic relationship with another woman. In an interview with Daily News on 20th April, he talked publicly about the effect his bitter divorce case was having on his children. He became emotional when he said he tried to keep his children, Bradley and Jillian, from being hurt from his divorce with wife, June. Furthermore, he even confessed that he never badmouthed his wife. Regardless of parent’s failed marriage, Bryant's daughter Jillian Beth Gumbel got married to William Russell Robins back in November 2013. No doubt, it was hard for Bryant to cut up such a long-term relationship. But Bryant found love again real soon in a former Goldman Sachs analyst turned model, Hilary Quinlan. After his divorce, Bryant might have given up the hope of ever falling in love again. But life had a different plan for him. He found love in a person closest to his heart. Bryant got married to his longtime friend Hilary Quinlan in August 2002 at the Breakers Hotel in Palm Beach with only about 25 friends and family members in attendance at the holy wedding ceremony. The two had been engaged since Bryant proposed in December of 2001, four months after the finalization of his prolonged and acrimonious divorce from his first wife, June. It's been more than 16 years of their married life, and the couple has remained intact in love. Although the married couple has not yet had children of their own, it seems they are more than happy with thier life as just husband and wife. Only time will tell whether any new changes might come to their life. CBS’s Mark Knoller Biography: From Wife Details To Tracking Trump In His List!